March is a month known for many things… March Madness, St. Patrick’s Day, Mardi Gras, National Celery Month (who knew?). The list goes on and on. But the most significant celebrations are National Women’s History Month and International Women’s Day. These two events honor the past, present and future of the empowerment and achievements of women everywhere. Women have become a powerful force in Small Business. As of 2018, women own 4 out of every 10 businesses in the U.S. They employ nearly 9.2 million people and generate $1.8 trillion in sales! * And it’s clear, we’re not stopping there. Women owned businesses with revenues over $1 million increased 46 percent - compared to 12 percent for all U.S. businesses - in the last decade. ** Way to go ladies! While there’s been a lot of success and much to celebrate, there’s still a lot of work to be done. Whether it be improving our ability to secure funding, inspiring more women to lead or training women to harness the power of technology, it’s clear that it’s not time to rest on one’s laurels. We have the ability (and momentum) to continue to make significant change and contributions in the communities in which we live and work. 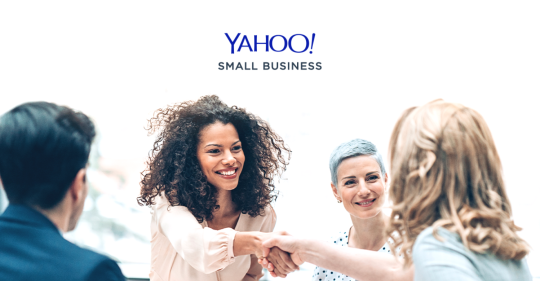 To that end, I’m proud to be a part of Yahoo Small Business. We’ve been supporting entrepreneurs and small business owners - many of them women - for more than 20 years. And in celebration of women everywhere, we’re hosting a free webinar on March 27th. This is part of an effort to inspire you to follow your dream of starting your own business (or keep on going!) with stories from a panel of women business owners who will share what they’ve learned and what they would NOT do again. We’ll also provide you with the latest technology tips and tricks needed to launch, manage, and grow a small business. I hope you’ll join us! Register now for our free webinar. Shirley was an early e-commerce pioneer who founded a wedding gift company and grew it to $6.5M annual revenue with 30 full-time employees before selling it to The Knot. She is also the author of Ecom Hell, how to grow your e-commerce business and not get burned. Shirley is now part of the Yahoo Small Business team.